Towards the end of 2013 I started to become interested in face highlighters, I just love the look of luminous glowy cheeks, it looks so beautiful. 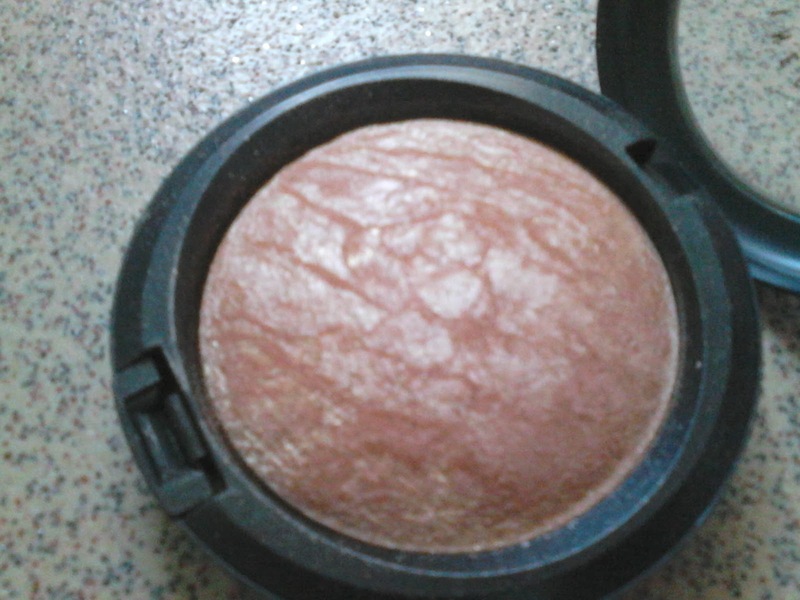 Anyway, I asked a few bloggers on the #bbloggers chat what their favourite highlighter was and the majority of them said the MAC Skinfinish in Soft and Gentle so I decided to look online for reviews to see if it was worth the purchase. After reading so many great things about it I decided to bite the bullet and purchased it online on the MAC website. Unfortunately I don't have a MAC store near me so I always have to purchase my MAC products online, boo. 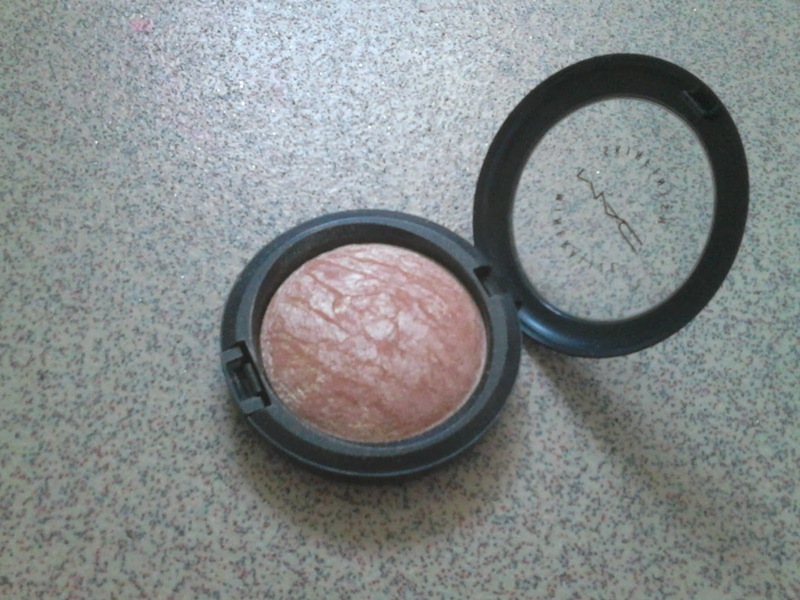 MAC describes this product as 'A luxurious velvet-soft powder with high-frost metallic finish that smoothes on and adds buffed up highlights to the cheeks, brows and anywhere else on the body, providing an ultra-deluxe polish to the skin'. 'Soft and Gentle' is an incredible warm champagne colour which I wouldn't normally go for as it does look a little dark but thankfully it works great with my awfully fair/pale skin. If this shade suits my skin tone I'm sure it would suit various other skin tones too. The very first time I tried it I was astonished, it gave my cheeks a gorgeous healthy glow and it looks so lovely when it catches the light, it's great to use all year round, it looks so natural. It has beautiful flecks of glitter but don't let that put you off, it's quite subtle once applied. 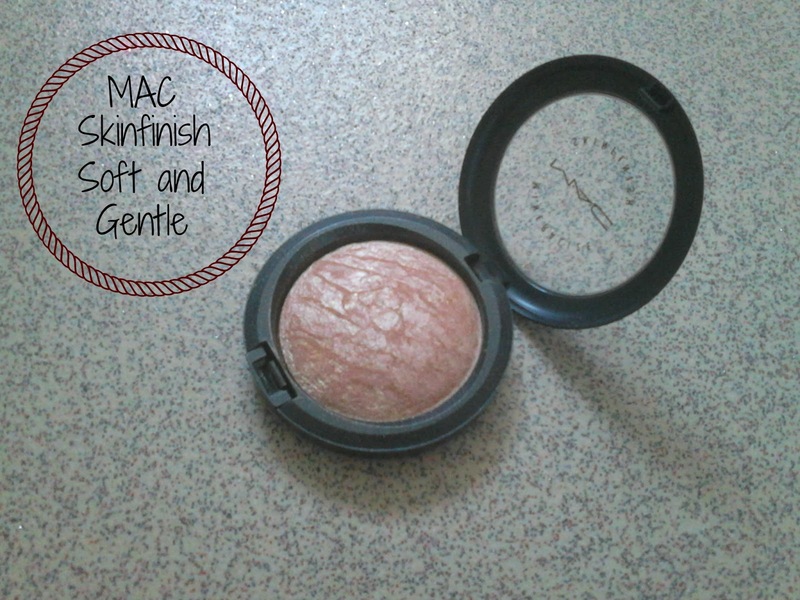 Normally my face looks quite dull but the MAC Skinfinish Soft and Gentle completely transforms it, making my face look bright and healthy, I love it! MAC soft and gentle feels really soft and looks incredibly sheer once swatched, you can apply the product with a fantail brush, a blusher brush or just your fingers but I choose to use my Real Techniques Blush brush to apply it. You don't need a lot of it either, you just take a quick swipe of the product and apply it on giving you lovely glowy cheeks in an instance. I wouldn't apply too much product though, you don't want to look like a disco ball. Unfortunately I'm unable to provide you with a picture of the product swatched as the light kept changing so the product looked non existent on my horrible pale skin, agh! This product is highly raved about and I can see why! It's become a staple in my makeup bag since purchasing, I have used it every single time I apply my makeup. It's 10g of product so I see it lasting me a very long time. You can purchase it from your nearest MAC store or any department store for £22.00, it's a great investment, you wouldn't regret it. Have you tried the MAC Skinfinish in Soft and Gentle? What do you think of the product?